Why is Williams cutting back on schedule? Steve Williams' 35-year career includes work for multiple World Golf Hall of Famers. 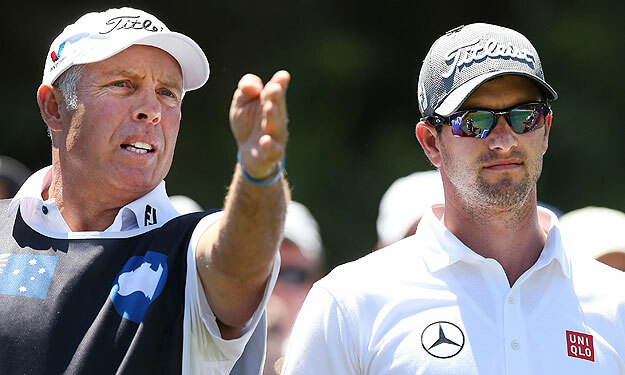 MELBOURNE, Australia (AP) -- Adam Scott's caddie Steve Williams plans to cut down on his schedule after next year, slowly putting an end to a 35-year career carrying the golf bags of Raymond Floyd, Greg Norman and most successfully, Tiger Woods. Williams, who turns 50 in late December, said Saturday at Royal Melbourne, where Scott is playing in the ISPS HANDA World Cup of Golf, that 2014 will be his last full-time season with this year's Masters champion. From 2015, he'll work only six or seven months of the year, basically from the Florida swing in March on the PGA TOUR through to the TOUR Championship by Coca-Cola in September. That will enable him to concentrate on his other love, car racing, in his native New Zealand. Williams caddied for Woods for 12 years, winning 13 majors with the man who fired him in 2011. "It's one of the greatest jobs if you like golf, but it's not something I feel I want to do my whole life," Williams told The Associated Press in an interview. "I certainly enjoy working with Adam, and I hope we can have more success together. If I enjoy doing the half-season, I will do it for five more years. If I don't enjoy it, I will have to think about it." Instead, he'll devote more time to car racing -- super saloon and saloon cars in New Zealand, referred to as late model in North America. "I've always been passionate about my racing, and to be fair, I've probably only got four or five years left at the top level," Williams said. "I had one season when Tiger was out for whatever reason he wasn't playing, and that was one of my most successful seasons." Williams is still fighting fit as he approaches 50 and works out every day. "I travel a lot because I go back to New Zealand on my weeks off," he said. "I race speedway, so you've got to be fit and sharp to be driving against guys who are mostly younger than me." Williams may be golf's best-known caddie, mostly for his seriously successful partnership with Woods from 1999 to 2011. But it ended badly, and along the way Williams picked up a fair amount of notoriety. At an awards night for caddies in Shanghai in November 2011, Williams received an award for best TV interview -- when Williams said after his new employer Scott won at the World Golf Championships-Bridgestone Invitational that it was "the best win of my life." When he received the mock award, Williams made a racial comment directed at Woods, a slur he apologized for when he saw Woods the following week at the Australian Open. Woods and Williams remain distant, something that Williams would like to try to change. "I think Tiger and I need to sit down and have a conversation," Williams said Saturday. "That opportunity hasn't arisen yet, but that's something I'd like to do." Williams, who played as a young teenager off a 2 handicap and caddied for five-time British Open winner Peter Thomson as a 13-year-old at the New Zealand Open, says he's pleased with his success over more than three decades in golf. "I'm very proud that I've worked at length with several players, and the success I've had with every player I've caddied for," Williams said.